Same Great Stories with a Whole New Look! in the Gaming The System series! The new Adam & Mia covers were over a year in the making! Over the period of ten months, photographer Lindee Robinson followed the life journey of real life couple, Marcus and Elena. When it came time for me to choose a new “face” for Adam & Mia, the beloved couple featured in five of the Gaming The System books, I knew Marcus and Elena would fit the part. I contacted Lindee for her assistance in the new look and she was thrilled, informing me that Marcus and Elena, both professional models, had so much natural chemistry together, they’d be perfect! We contacted them soon after their own real life fairytale wedding, but were informed that timing would not be on our side for a little while… they were thrilled to learn that they were expecting their first child. Instead of searching elsewhere for new models, however, Lindee came up with a wonderful idea. Why not document their pregnancy, the early infancy of their child and launch an epic project fit for an epic super couple? So we did just that…over the course of ten months and three different photo shoots, we collected enough images for the new look for the Gaming The System books. Elena was eight months pregnant during their first shoot, their child, six months old at the second. For the third, Marcus and Elena recreated their own wedding, complete with Elena’s wedding dress for the cover of Adam & Mia’s wedding book. All the pieces fit into place. Lindee had taken over a thousand photos of them over the course of many hours in photo shoots. Now it was time for a new design. I had no question that I’d go back to Sarah Hansen of Okay Creations to give the books a fabulous new look. After all, she’s the one who created their original, amazing brand four years ago when I went to her with At Any Price. And as with her previous covers, they are compelling, eye catching, classy and colorful. Covers fit for Adam & Mia! With this couple, the chemistry really came naturally. I don’t often get to work with real couples on shoots for authors so it was a real treat. For most of my shoots when I’m not working with real couples and even when I am, the main thing is keeping a fun a comfortable environment. We laugh about how it can be awkward, once you loosen up and embrace that, models get comfortable a lot faster with each other and you can get some great moments. What was different or unique about working with a real life couple, like Marcus & Elena as opposed to a couple that doesn’t know each other as well? When I’m working with a couple that doesn’t know each other most of those moments and poses are planned and we all do our best to make them look natural. With Marcus and Elena we also planned poses, but some of my favorite shots are in the off moment of them. Anyone who knows them can tell how much he adores her and how much she loves him, so it’s so amazing capturing that, rather than trying to bring that out of people who just met. However I think its also a lot of fun to bring that out in people who have just met, but this natural chemistry defiantly makes my job easier. What are your biggest challenges during a cover shoot, especially one of this breadth (i.e. multiple covers over multiple shoots and a span of many months)? I think for me it would always have to be scheduling and planning especially for something like this, once they are at the shoot I know we can make it happen its just about getting them there. Especially for something like this, we started with the pregnancy one because she was pregnant at the time and we had to wait until she started to show then plan the shoot. Then after that we did the photoshoot with their beautiful baby boy, who in the story is a girl and we wanted to do that shoot at the perfect moment where he was old enough to have some expressions but still young enough if we dressed him in gender neutral clothing you couldn’t really tell. Then finally we did the wedding shoot, where she wore her actual wedding dress from when they got married, since this dress was before she had her baby we had to wait until she was at a place she was comfortable in her dress and we could find a date to work with their crazy schedules as new parents. There is so much pre-production that goes on for shoots like this and every model has a lot going on in their lives too, so scheduling will probably always be the hardest thing for me but defiantly worth it when you get covers like this! Any funny stories to share about the shoot? I was kinda nervous about the baby shoot, when I was 18 I used to work at a portrait studio and we photographed a lot of babies, and sometimes they were really good or really scared and often if they were good it that was only for a short time. Either way I knew I could get the shots I needed but I was very aware this could be a very short shoot, especially because Elena had told me he had mixed reactions to the camera at that point. Once we started shooting he was so great, he had so many expression and you could feel how much he adored his parents. He was like a baby model, no surprise coming from those two, but I am still shocked at how well he did and how long he was willing to shoot for. I’ve worked with a lot of babies and kids and he is the best baby I have ever worked with by far. … and more coming on the other books throughout the month! Giveaway ends October 27, 2017. Sounds like an awesome set to read! This series sounds phenomenal and the new covers are stunning!! 🙂 Thank you!!! 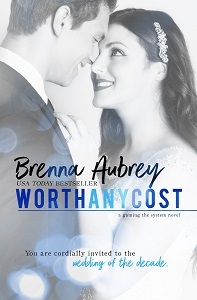 I loved the covers and the fact that they are a real couple! They are so sweet! I love the new covers! I absolutely loved the new covers! Love the new covers! These books are wonderful and you NEED to one-click them fast! Love this series! Thanks for the chance! This is an amazing giveaway! The new covers are stunning! Thank you for the amazing giveaway too! I enjoyed reading this post. You can see their genuine love for one another come through. I’m looking forward to reading this series. 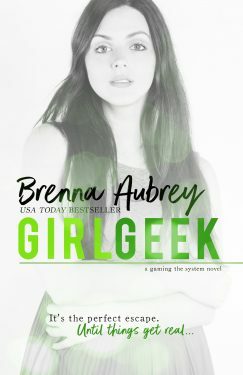 Brenna is a new Author for me . Happy to have found her on Smitten By Books. Woohoo 😉 Absolutely love the covers!!! Thank you for the lovely giveaway too! Love the books and love the new covers! The new covers are gorgeous!! I love this series, and have recommended them to friends. I love the new covers and the story behind the photo shoot! Congrats! A great post thank you & loving the covers. I love these new covers so much. 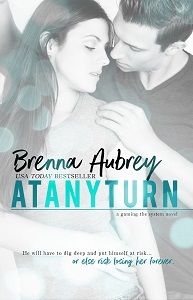 Absolutely love Brenna’s work.. my fav books by far!!! 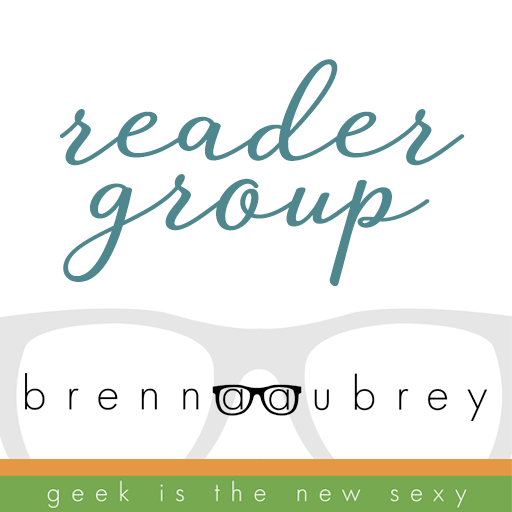 To keep up to date on new releases, please subscribe to Brenna's newsletter by filling out the form below. Also learn about new and upcoming books, appearances, signings, special promotions and giveaways! You should receive a confirmation email that you have successfully subscribed. 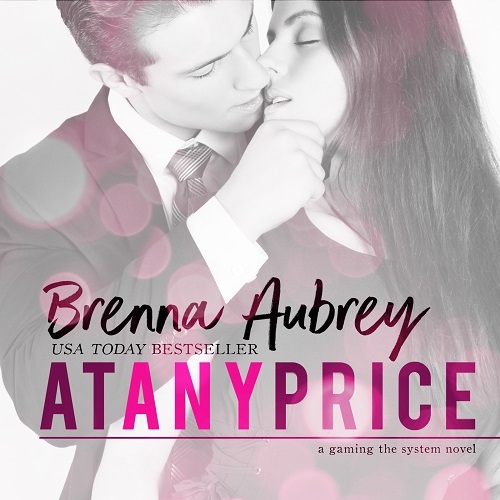 If you have any difficulties subscribing, please contact BrennaAubrey@BrennaAubrey.net. You won't be inundated with emails (she is way too busy) and Brenna will never give or sell your information to anyone. 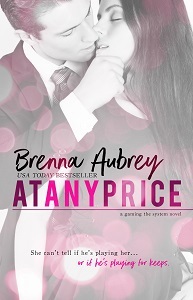 The first book in Brenna’s new series, Point of No Return, is now available. HIGH RISK begins the story of astronaut Ryan Tyler and Gray Barret. 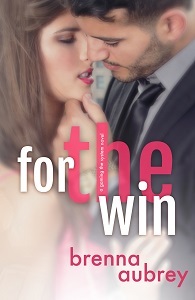 The second book in their duet launches in just weeks. Have fun with other peeps who love Adam & Mia, April & Jordan, Jenna & William and my NEW COUPLE for the NEW SERIES (more info coming). 1) Follow the link above. 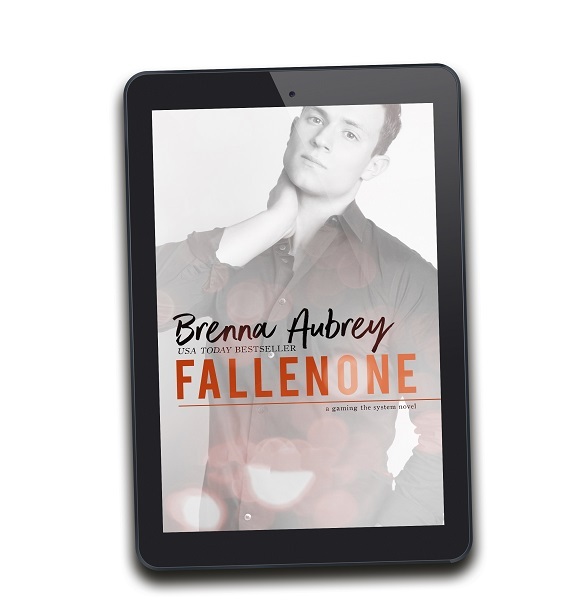 FALLEN ONE is a web-serial prequel to the Gaming the System novels from Adam's point of view. Read it now for Free. ... that the first six Gaming the System novels are also available in audio?